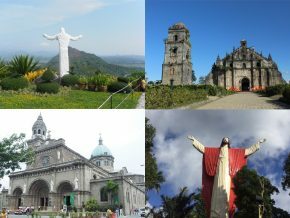 If you haven't been to any of such religious sites before, we've listed down some of the spots you might want to visit for the upcoming Lenten season. 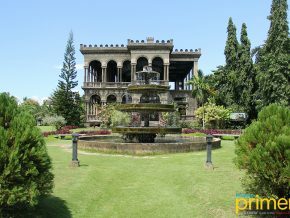 One of the most elegant examples of big stone houses in Vigan is the Syquia Mansion owned by the sixth Ilocano-born President of the Philippines Elpidio Quirino’s wife Dona Alicia Syquia Quirino. Lucy’s Antique Shop, situated along the historical Calle Crisologo, is home to various old items like paintings, house furniture, porcelain plates and vases, and glassware. It is located at the ground floor of the old house of Don Renato Peña and is regarded as the largest souvenir shop and the last remaining antique store in town. 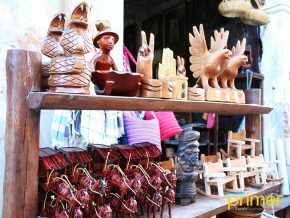 Calle Crisologo is lined with souvenir shops that can quench your thirst for trinkets for your personal keepsake or for "pasalubong" to gift to your family back home! 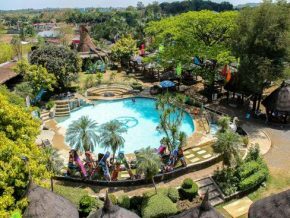 One attraction that should make its cut to your Vigan travel list is this safari adventure resort that's just 10 minutes away from Calle Crisologo. 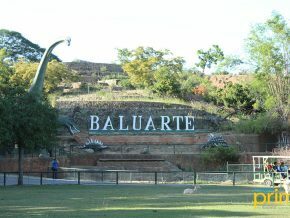 Baluarte Resort and Mini Zoo is a must-visit spot in the province due to the exciting activities that people of all ages will surely enjoy. 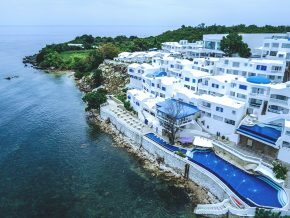 This cozy hotel and resort in Sabangan Beach, Ilocos Sur is the perfect place to relax in the Northern side of the country. 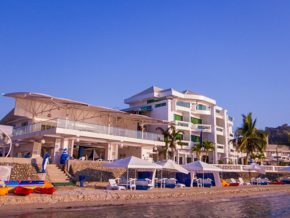 As Vitalis Villas’ neighboring resort and predecessor, Vitalis White Sands charms its guests with the white sand beach and crystal sea that emanates a simple lifestyle. 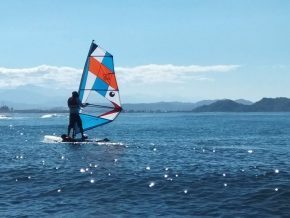 It is only about time for visitors from around the world to be one with nature by participating in what can be the most thrilling experience you may have in Ilocos Sur---through Narvacan Outdoor Adventure Hub! Known to many as the “Santorini of the North”, Vitalis Villas mirrors that of the famous landscape of Santorini in Greece with its cubiform villas painted in a wash of white and blue. You might have seen these gorgeous, colorful woven blankets, table runners, and bath towels along Calle Crisologo in Vigan, but have you ever wondered how they are made? Join Philippine Primer as we discover the beauty of this century-old loom weaving practice in Vigan, honored to this day by Rowilda's Loom Weaving factory in Brgy. Camanggaan, Vigan City! From the home of a UNESCO world heritage is another breathtaking view of nature kept hidden in the neighborhood of Baballasioan in the far end of Sta. 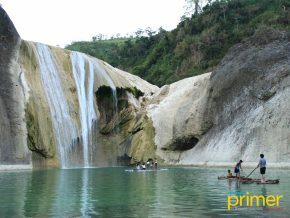 Maria—the Pinsal Falls. 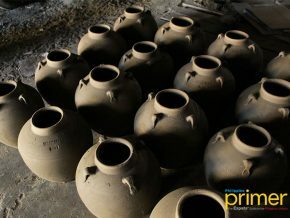 Vigan is a place where long-lived arts and crafts are nurtured up to the present time, and among those lasting craft heritage is the pottery making, also known locally as the burnay jars. Ruby Jar Pottery has been a destination for most tourists visiting Vigan City who wants to see and experience the art of pottery for many years now. 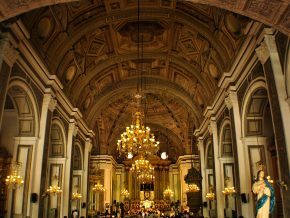 A UNESCO World Heritage and one of the four beautiful baroque churches in the Philippines lies behind the town of Sta. Maria in Ilocos Sur. Situated in the town center and sitting on top of a hill is Santa Maria Church, also known as The Church of Our Lady of Assumption. Here are some of the best ancestral houses where you can learn a bit of the town’s history and culture as you visit Vigan City in Ilocos Sur. 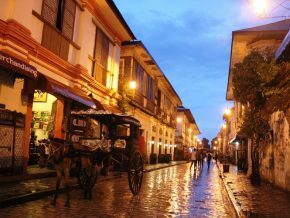 Vigan truly is an amazing city. It’s not difficult to fit in and get to know the people, especially when it comes to talking about the city’s history. Make enough trips, and you’ll probably grow attached to this wonderful city. Wondering what an old Vigan home looked like, decades ago? Visit Crisologo Museum. Get to know the boutique counterpart of Hotel Luna. 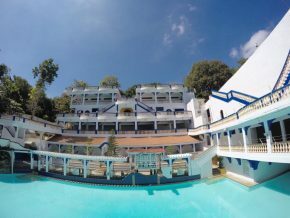 For travelers and corporate guests seeking comfort and satisfaction in their stay in the Wonder City of Vigan, West Loch Park Hotel is the right place to relax in after an indulgent tour around the heritage town. Dancing fountains are not limited to Manila’s Rizal Park. 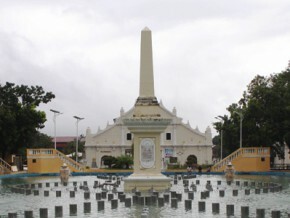 A trip to Vigan is hardly complete without a visit to their most popular park: Plaza Salcedo. 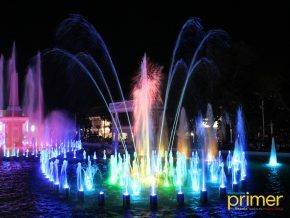 Visit Plaza Salcedo's Dancing Fountain every 7 pm during weekdays, with a second show at 8:30 pm every weekends! Are you still looking forward to knowing more about the prominent figures who shaped the history of Ilocos? Have you ever fancied knowing more about one of the three martyr priests, Padre Jose Burgos, or the country’s 6th president, Elpidio Quirino? 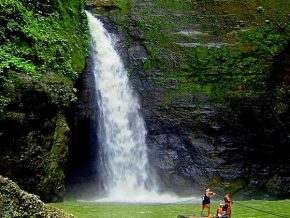 What about everything that has to do with Ilocos’ own spirit, basi? 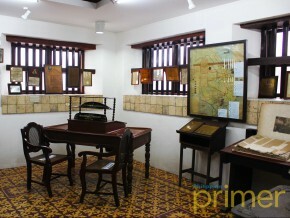 Let us take you to Ilocos Regional Museum Complex to know more about them! 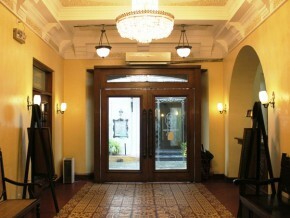 Ciudad Fernandina Hotel—a name that gives you a ring on your memory if you happen to really love Philippine history. 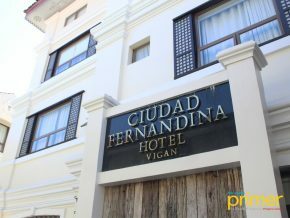 Named after the old name of the city, Ciudad Fernandina Hotel was built in 1758 by spouses Don Francisco de la Encarnacion and Dona Rosa Anastacia. 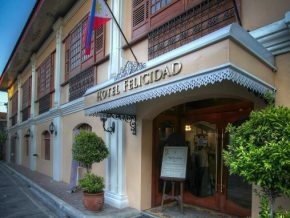 Hotel Felicidad offers its guests a cultural representation of the lush lifestyle back in the Spanish times. Strategically located in the heart of Vigan City, the historic landmarks of town such as Plaza Salcedo and the dancing fountain, Vigan Cathedral, and Plaza Burgos can be easily accessed from the hotel. 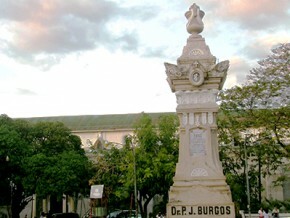 The smaller of the two major plazas in Vigan, it was build to commemorate Father Jose P. Burgos, one part of GomBurZa, the martyr priests who died for our country during Spanish rule. 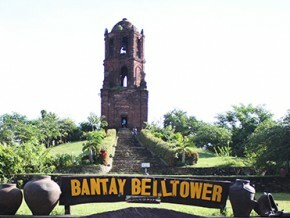 One of Vigan’s most iconic symbols is the Bantay Bell Tower. First built in 1591, it served as the town’s watchtower before being turned into a bell tower by the nearby church in 1857. 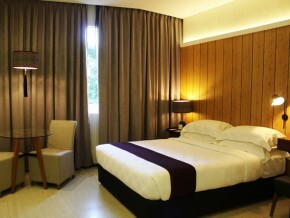 Redefine Ilocos as you stay in One Vittoria Hotel. Ever stayed in a hotel and museum all at once? 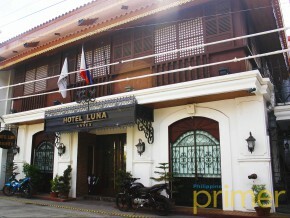 Along the streets near Calle Crisologo, we found the only museum-like hotel in Vigan—Hotel Luna. 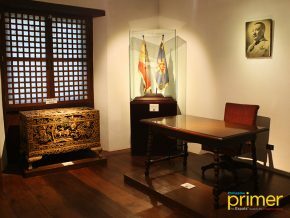 Built during the 188os by Don Jose Florentino, for his daughter Doña Carmen Florentino, this Filipino old house with a touch of sophisticated Spanish interiors has been rebuilt, extended and restored into a high-class museum-hotel. 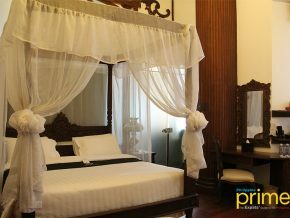 Hotels may be plentiful in the city of Vigan, but most of them are heritage homes that have been given an upgrade. 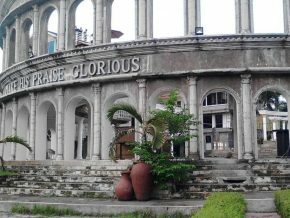 They may retain the aura of a heritage house, but they can’t be compared to Villa Angela Heritage House in terms of being a true heritage of Vigan City. 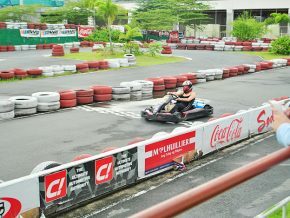 See what Villa Angela has to offer that made Tom Cruise choose this as his very own accommodation. If you have been looking for a hotel that is within reach of all tourist destinations that you can find in Vigan, check in at Hotel Salcedo. One of the country’s oldest Augustinian churches, the St. Paul Metropolitan Cathedral started out as a chapel made of wood and thatch in 1578 by order of Juan de Salcedo, the conquistador and founder of Villa Ferdinandina, which later became the town of Vigan. 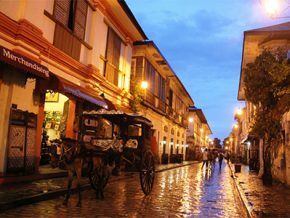 Calle Crisologo, also known as Mena Crisologo Street, is a notable tourist attraction in the heritage city of Vigan.